Acted as the exclusive financial adviser to Auto Owners Insurance in its acquisition of Capital Insurance Group. Capital Insurance Group is a leading regional property & casualty underwriter, insuring personal lines and a wide range of commercial and agricultural businesses in California, Washington, Oregon, Nevada and Arizona. Based in Lansing, MI, Auto-Owners is a Fortune 500 multi-line insurance company that is represented by over 47,500 licensed agents in 26 states. This acquisition will expand Auto-Owners’ geographic reach with a premier west coast platform. Acted as the exclusive financial advisor to Columbia Insurance Group (“CIG”) in its renewal rights sale of farmowners business to ECM Insurance Group. ECM Insurance Group, based in Everett, Pennsylvania, will acquire the renewal rights to all of CIG’s farmowners business. As part of the transaction, Missouri domiciled Citizens Mutual Insurance Company will merge into Everett Cash Mutual Insurance Company, the parent company of ECM Insurance Group. 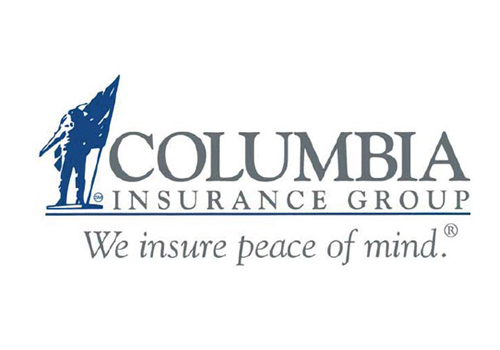 Columbia Insurance Group produced $15 million of farmowners related business in 2017. Acted as as the exclusive advisor to Auto-Owners Insurance Company in its affiliation with the Concord General Mutual Insurance group of companies. Concord is a personal lines-focused property and casualty insurer that operates exclusively through independent agents in NH, VT, ME and MA. Based in Lansing, MI, Auto-Owners is a Fortune 500 multi-line insurance company that operates through almost 6,300 independent agents in 26 states. The affiliation will expand Auto-Owners’ geographic reach with a premier New England platform. Concord will be able to grow its commercial product offerings as a result of the affiliation, strengthening agency relationships and adding greater overall value as a result. Acted as the exclusive financial advisor to Strickland Insurance Group and its wholly-owned subsidiary Atlantic Casualty Insurance Company in their sale to Auto-Owners Insurance Group. Formed in 1983, Atlantic Casualty is a specialty property & casualty underwriter that primarily writes excess and surplus lines business through a network of MGA partners. The company operates in 48 states with offices in Goldsboro, NC; Scottsdale, AZ; Hartford, CT; and Philadelphia, PA. The management team, staff, and locations will remain as they position for growth and expansion of product offerings. Acted as the exclusive financial advisor to Tri-State and Primero in its sale to Nodak Mutual. Tri-State is a retail sales/service general insurance agency and Primero underwrites specialty automobile insurance in Arizona, Nevada, North Dakota, and South Dakota through independent agents. Primero is rated “A” by Demotech Inc. Current President Herb Hill will retire and Vice Presidents Ryan Hill and Broch Hill will continue handling the claims and marketing for Tri-State and Primero. Acted as the exclusive financial advisor and agent to EGI Financial Holdings Inc. of Toronto which operates in the property and casualty insurance industry in Canada, the United States and Europe in the sale of its United States non-standard automobile insurance operations. EGI announced that it has entered into a definitive stock purchase agreement with White Pine Insurance Company, a Michigan-based specialty insurance company, to sell EGI Insurance Services, Inc. and all subsidiary companies, including American Colonial Insurance Company, a Florida domiciled insurance company and EGI Insurance Services (Florida), Inc., a Florida-based managing general agency. American Colonial is currently writing new and renewal non-standard automobile insurance in Florida. Acted as the exclusive financial advisor to Western National Mutual Insurance Company of Edina, MN in its purchase of 100 percent of the stock of Arlington Heights, IL-based Dynamic Insurance Group, parent holding company of American Freedom Insurance Company. American Freedom Insurance Company will operate independently as a separate entity writing non-standard automobile coverage in Illinois, Indiana and Pennsylvania, under the ultimate management and control of Western National and with its full financial support.